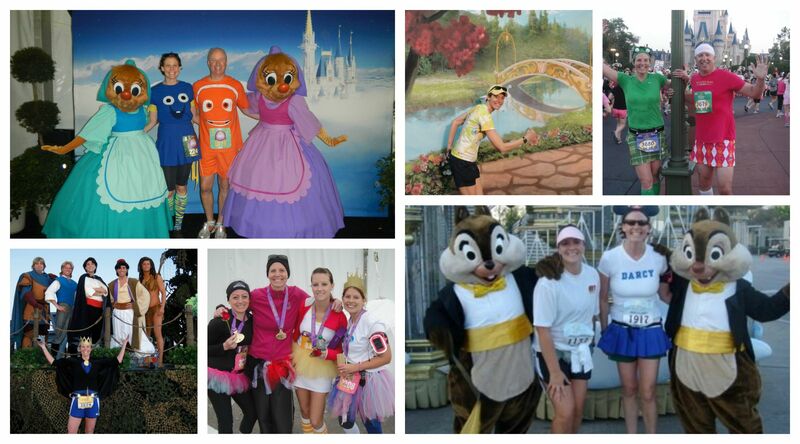 Last year Jim and I flew down to Orlando so I could run my fifth and final Princess Marathon. For a few days we escaped the bitter cold of New England and lived like royalty in the 3-bedroom Grand Villa at Bay Lake Towers. The weekend was bittersweet because I knew once I crossed that finish line I would no longer be able to call myself a perfect princess. We lived large enjoying the parks, watching Wishes from the top of the Bay Lake, and running both the 5k and the half marathon. It was a great way to finish . The first race was so small. I even got a bib for Corral A. 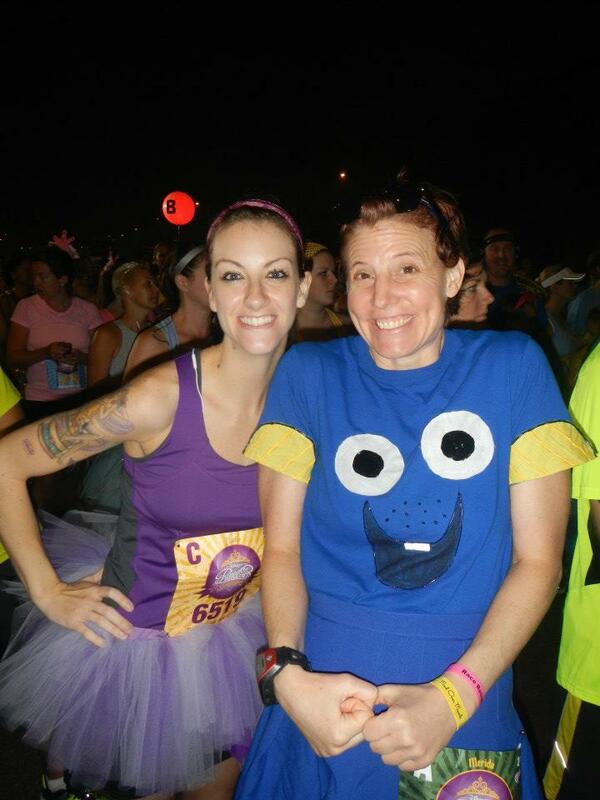 My friend Trish (who thankfully convinced me to run the Princess) and I wandered all the way up to the start line. We stood a few feet away from the elite racers. Once the gun went off it felt like we were passed by everyone. I was wearing my ears and mouseketeer costume, a stark contrast from all the people dressed up like princesses. Having my name across my chest was great because people all along the course yelled “Darcy”. But it wasn’t until mile 12 when I came up to the fairies that one of them yelled “A mousketeer!” That made my race. Every year we dressed up, but I never went as a princess. Year 2 the Evil Queen, year 3 the Frog Prince (Jim was the princess), year 4 the Queen of Hearts, and last year Dory (Jim was Marlin). 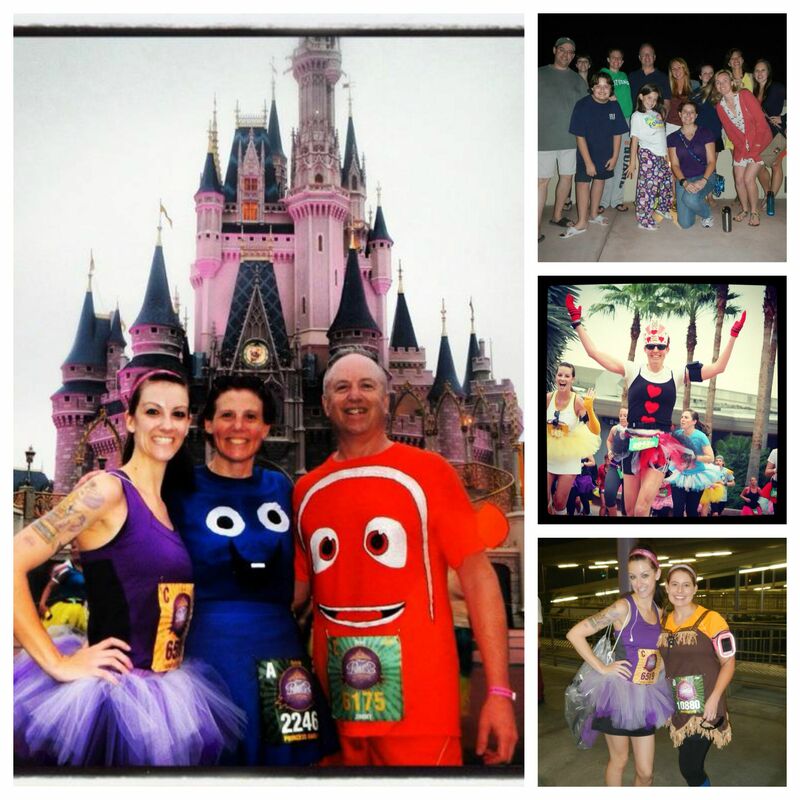 While we never did run into Nemo, we did reach our goal of running the first 5 races. This is the first year where I am sitting out of this race. My friends Meghan and Faye are down in Orlando for race weekend. Faye is doing the inaugural 10k and Meghan is running her third princess marathon. Last night as I read their posts on Facebook about this weekend’s run I got teary. This race was such a big part of my life for so many years. But it was time to say goodbye. Thank you for 5 amazing races.